Fisher-Price Disney’s Dance Star Mickey Just $36.53 Shipped (42% Off)! The Fisher-Price Disney’s Dance Star Mickey was the Hot Christmas toy for last year and right now you can get it for just $36.53 Shipped! You just couldn’t even get this toy in the Holiday season as it was all sold out. We haven’t seen the price this low – would make a great Holiday Gift if you want to start early! 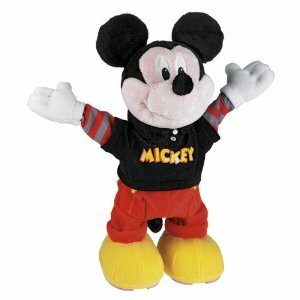 Fisher-Price Disney’s Dance Star Mickey is a really fun toy for 18 month olds to around 6 years. Kids love the fact that Mickey seems to come to life and dance for them! Kids love interactive toys and they certainly love Mickey Mouse so this is the perfect combination! Plum District: Get a $60 Gift Certificate to Ecomom + Free Shipping for just $27 Today!